7 personal finance apps are taking over the Millennial market. Here’s how they did it. Millennials will inherit the largest amount of personal wealth of any generation — and personal finance apps are emerging to seize on this opportunity. Here are the core strategies that these companies are using to build, convert, engage, and monetize their audience. An explosion of new consumer finance brands is transforming how people save, spend, and manage their money. Ninety-two million millennials will soon be in what Goldman Sachs calls their “prime spending years.” In aggregate, they command $1.3 trillion in annual spending. They have a deep antipathy to traditional financial institutions. A host of startups have emerged to capitalize on this trend. These companies are making it easier to make a budget, invest, and buy stocks, as well as to get loans and credit cards. Where’s all this data coming from? Explore the full report and the world’s most comprehensive private company database in the CB Insights platform. To build a successful personal finance management tool, it’s important to understand the dynamics of user acquisition and growth. The result of getting your product right, however, can be exponential growth so fast it’s hard to wrap your mind around. We studied 7 of the fastest-growing personal finance startups of all time, including Robinhood, and dove into what they did to achieve their massive results. For three of the tools we looked at — Mint, Level Money, and Check — we studied how their product evolved all the way up to their acquisition (by Intuit, Capital One, and Intuit, respectively). 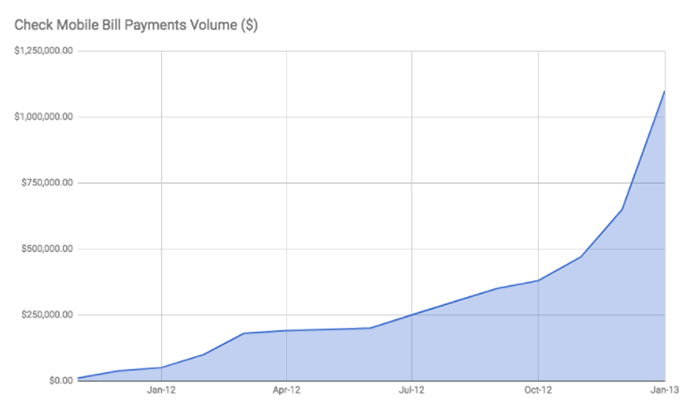 Daily bill payments from Check’s mobile app reached over $1M in daily volume in just one year. 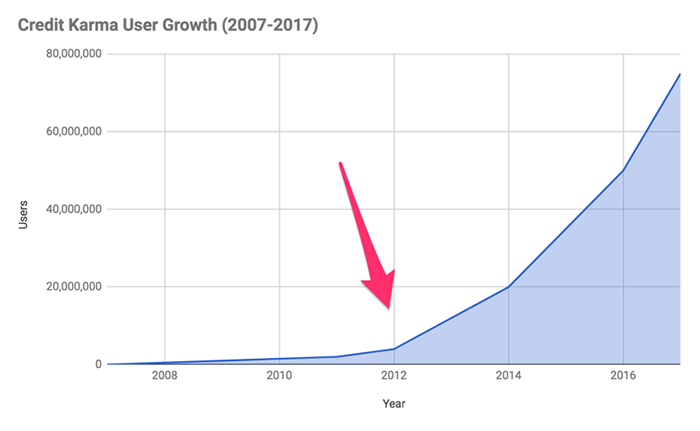 For the non-exited companies — Robinhood, Acorns, Stash, and Credit Karma — we looked at which apps had the highest rates of user growth and what’s driving expansion. In each instance, we tore apart the UX and UI of each tool, looked at their growth and revenue numbers, pored through interviews with founders and early employees, researched their public reception, talked to employees, and did our own math. What follows are the results of our analysis — secrets to success in the world of personal finance management. In personal finance, building trust over time is essential. Whenever you’re dealing with personal financial information and decisions, “moving fast and breaking things” isn’t advisable for any product. The best personal finance startups take time to lay the groundwork for their product. They create content that helps them make a name as an authority in a space, giving them the credibility they need to convince people to trust them with their data. They build up hype and excitement, building up their public reputation and the all-important factor of social proof. For personal finance tools, pre-launch marketing is where you lay the foundation of your product. Mint has a classic success story. Many fintech companies out there are trying, very literally, to become the next Mint.com. 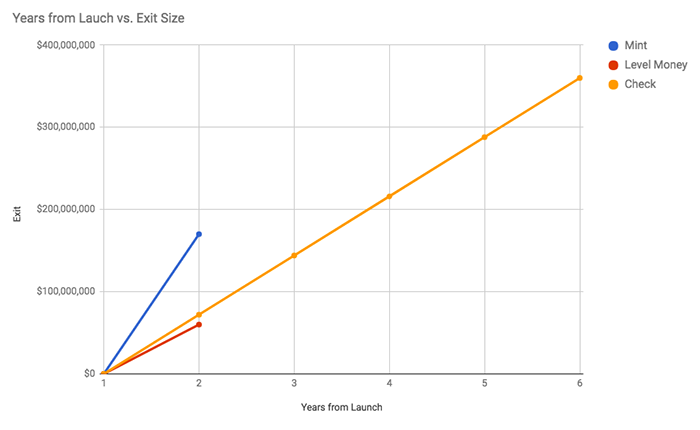 While all the companies we’re looking at have had large exits, none were faster at getting to theirs than Mint. 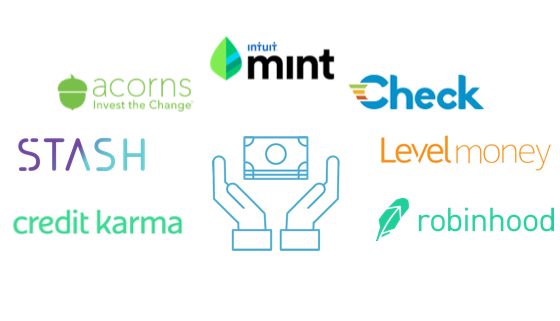 Of the tools we’re looking at, plus a few other high-profile acquisitions in personal finance, Mint had by far the most significant growth in its valuation — from $0 to $170M in just two years. Behind that fast growth was an ingenious pre-launch marketing campaign. 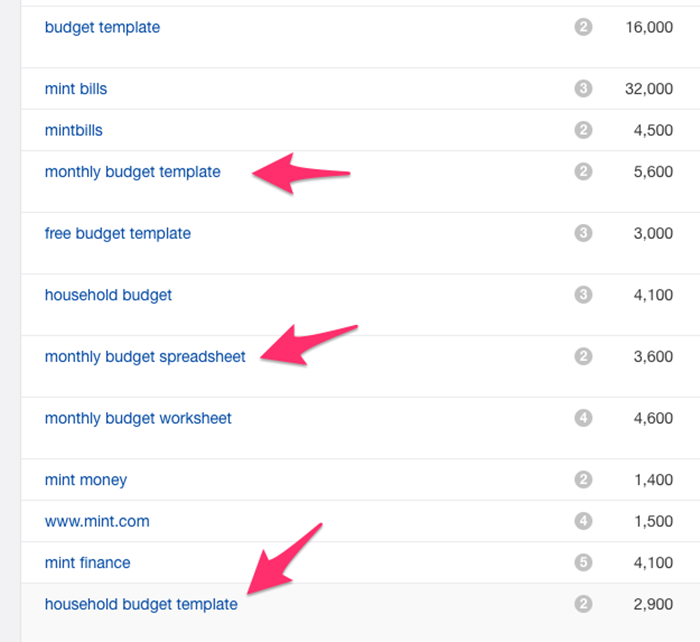 By creating tons of content around their mission to help people get their finances in order, Mint was able to build the top personal finance blog on the internet before it ever launched its product. According to Business Insider, the traffic Mint got from its blog when it launched was already greater than the traffic Wesabe, Buxfer, and Geezeo were getting combined. While Mint was still getting ready to launch, founder Aaron Patzer’s team started seeding interest in the product through the then-emergent practice of content marketing. 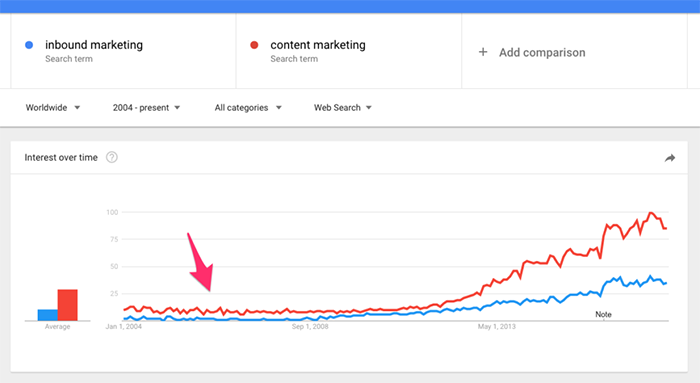 Google Trends data shows that both inbound and content marketing, at the time of Mint’s launch, had hardly been studied. 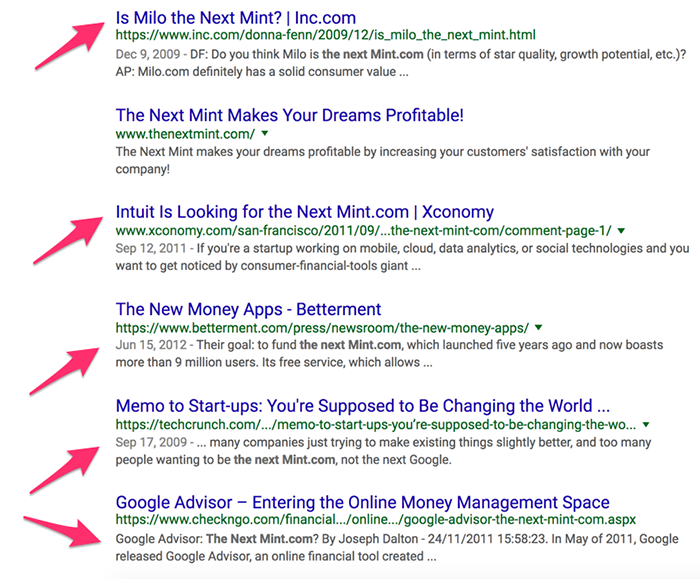 Mint’s team called it a “content network” at the time. They wrote blog posts, conducted interviews with well-known personal finance speakers, designed infographics, and generally created whatever kinds of content they thought would succeed with their target audience of mainly young professionals looking to better manage their finances. Then, they spent an equal amount of time working on distributing that content both through social media (Reddit, personal finance forums) and through SEO (which wound up driving about 20% of Mint’s overall traffic). The content Mint made for social was painstakingly designed around getting attention on specific websites. Founder Aaron Patzer told journalist and entrepreneur Shane Snow that his team spent large amounts of time on sites like Reddit and Digg, looking at the kinds of content getting the most upvotes and trying to simply emulate the most successful pieces. Not only did all this content get people visiting Mint and signing up for its newsletter, it got them thinking about Mint as a trusted source of financial information. Like NerdWallet is today, Mint became an authority in the space — a reputation that allowed it to overcome some of the inherent difficulties in being a personal fintech company that relies on people sharing their financial information. Mint’s ability to get signups using viral, high-value content was one great strategy for acquiring customers pre- and post-launch. Robinhood took it to another level, getting to 1 million interested users pre-launch with an ingenious referral program. It’s been a while since a personal finance tool has grown as quickly as Robinhood. 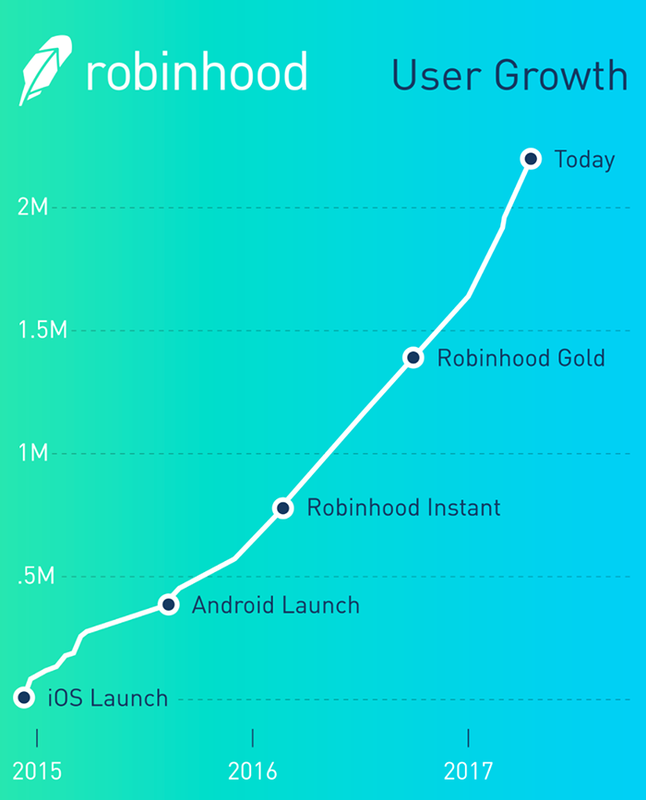 The app, known for free mobile stock trading, hit 1 million active users in a year — and today Robin Hood is at over 2 million, adding about 140,000 new users every month. That’s “more accounts than E-trade added in all of 2016,” according to TechCrunch. 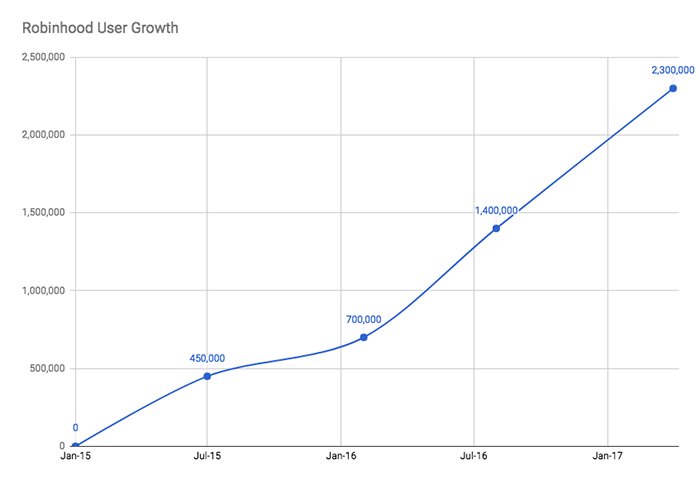 And Robinhood has had 17% month-over-month growth in (paid) premium Robinhood Gold accounts. Part of this success was the fact that Robinhood had a million users waiting to use its service before it even launched. At the core of Robinhood’s extreme growth — besides the central value prop, free trades, which we discuss in the next section — was its referral priority program. A referral priority program, when properly set up, can spark a much higher than usual amount of sharing. 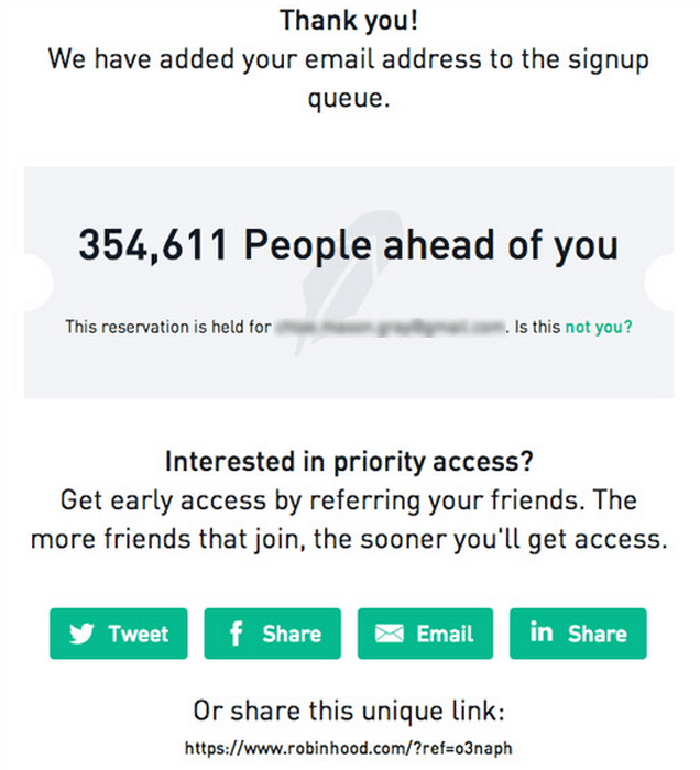 It works like this: you join Robinhood’s waitlist. Like in any other line, you start off at the end. But you’re offered a deal — invite a friend to join the waitlist behind you, and you will move up in line a few spots. The more people you refer, the faster you move up. Allowing users to “cut” by referring other users was an innovative idea, and it worked. The psychological power of the referral priority program is that people’s desire to move up (and thereby share) has no inherent limit. As long as people want to get to the front of the line and the line is long enough, they will continue to share until they run out of friends to send the link to. By allowing their users to essentially act as sales agents, Robinhood was able to dramatically expand the reach of its referral program. 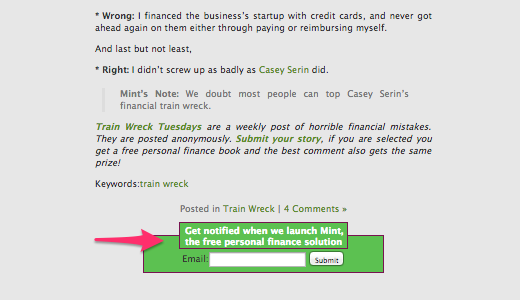 Between Robinhood and Mint, we walk away with two great strategies for acquiring users. Now that you have those users, how do you get them to stick around? That comes down to demonstrating value. Quickly. The next successful strategy personal financial management tools have deployed is all about making the first experience magical. Keeping users around is hard: according to Localytics, the average mobile app loses 80% of its users within just three days of download. 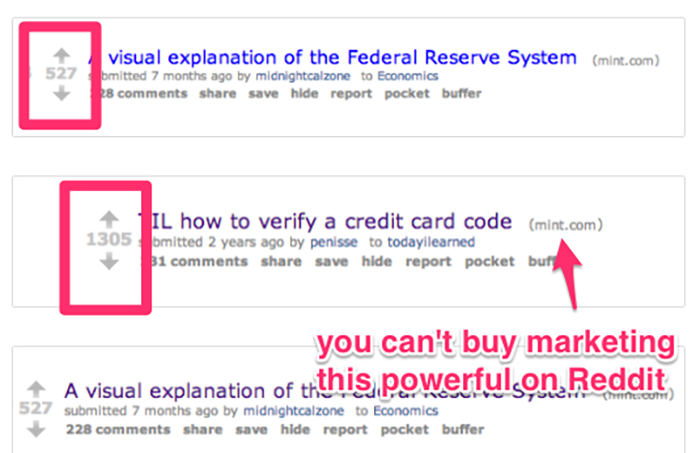 This tells you that not only is making your value clear to users paramount, doing it quickly is even more important. Get them engaged quickly, or you will not have another chance. 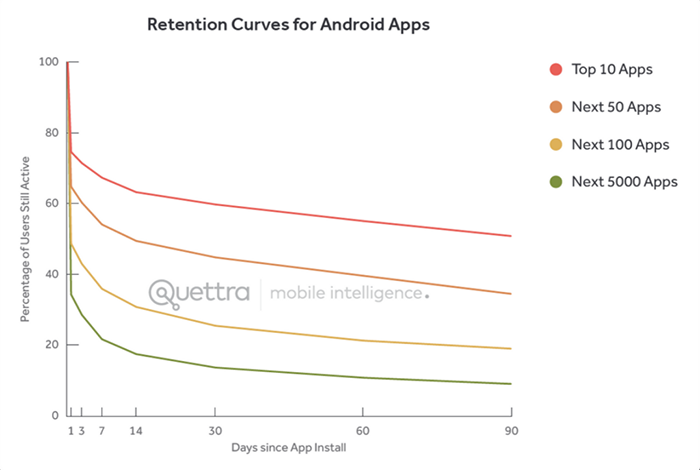 The top 10 apps in the Google Play Store differentiate from the next 50, 100, and 5000 based almost entirely off how well they retain users during that first 3-day period. 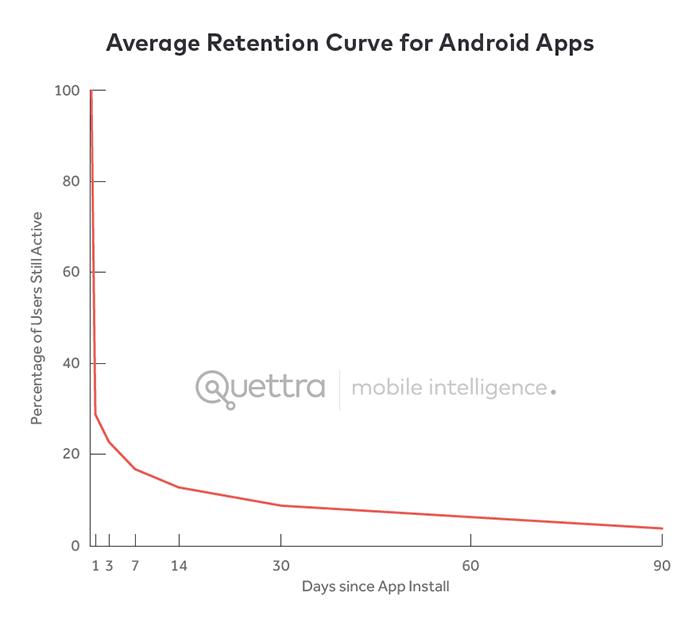 The best apps retain about 70% of users after three days. The next-best retain about 60%. And so on. In other words, mobile products are under the gun to almost immediately show value to their users. This is particularly important for personal financial management tools, which need to overcome a user’s natural reluctance to allow an app to tap into their financial data. That’s tough to overcome, and is why building a smooth first-run experience is such a challenge (and opportunity) for personal finance apps. 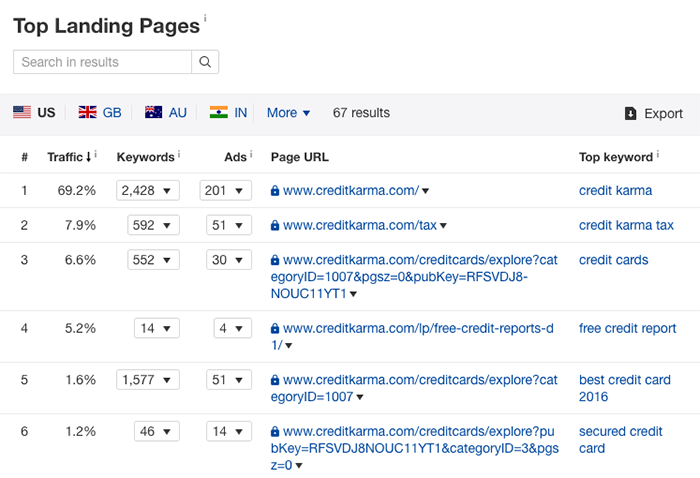 On a monthly basis, Ahrefs data shows that Credit Karma drives 5M visits worth a total of $10.9M in impressions. 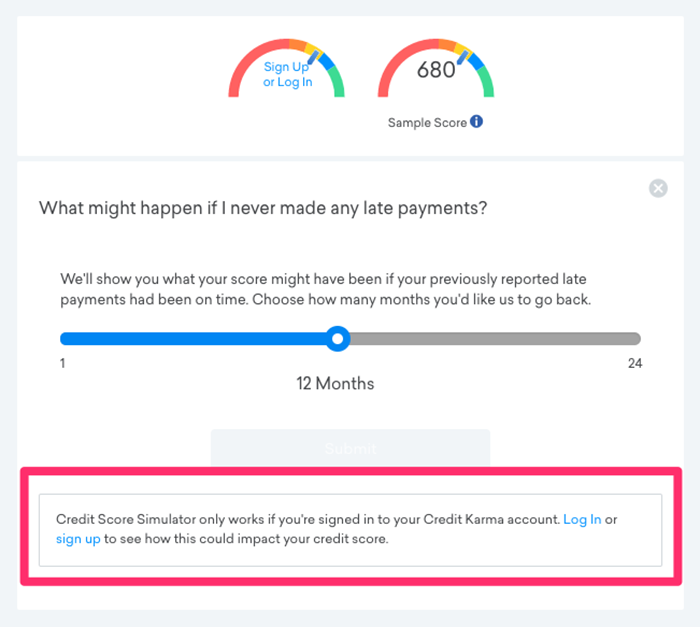 More than 30% of Credit Karma’s 5 million monthly site visitors don’t come to Credit Karma for the main product, which is short-term loans — they come for the free tools. They come to the Debt Repayment Calculator to calculate the amount of interest left on their debt. They come to the Credit Score Simulator to see how their credit score might change with a hard inquiry. 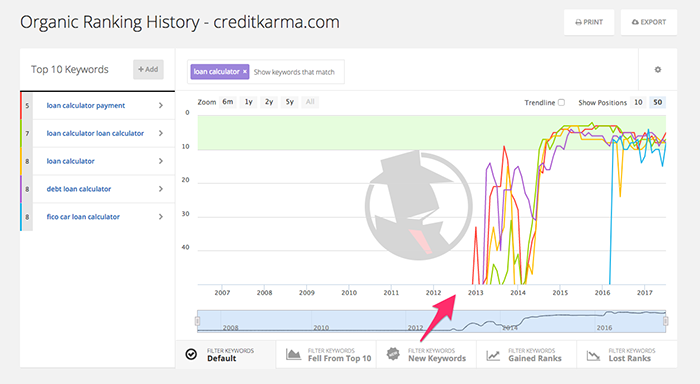 The success of Credit Karma’s free tools has a lot to do with the way information is generally structured and searched on the web. When people have a problem, they Google it. Tools that help people fix those problems or answer their questions will drift up to the top of the search results. If that problem is prevalent enough, this can mean a tool gets found in thousands or tens of thousands of searches every month. Over time, these tools build up credibility (even more so when they become the first, second, or third result in Google), and this can lead to upsells. 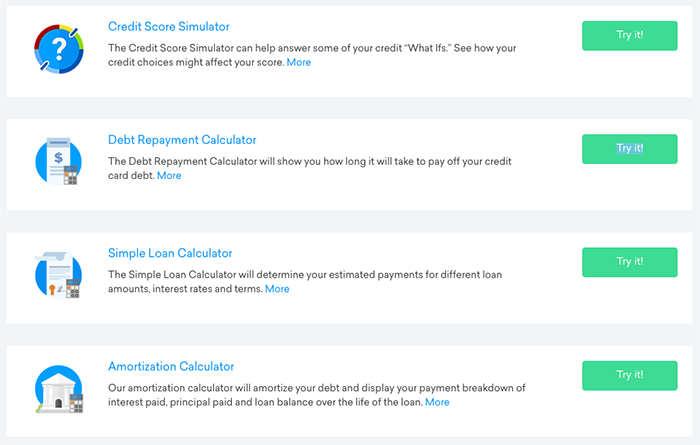 These simulation tools and calculators have a layer of value that is accessible to anyone coming to Credit Karma for the first time, but Credit Karma also offers another, deeper, data-driven layer of value that’s only accessible if you become a Credit Karma user. The Credit Score Simulator, for example, lets you run through a wide variety of situations and how they might change your credit score. Each one of these tools showed prospective Credit Karma users (and financial product customers) a small slice of the value the service could offer them. When you get users coming back to your product on a regular basis, you get more opportunities to show them what you can do. For Credit Karma, an app that has no natural retention “hook” or sticky moment, the free tool is a powerful way to make stickiness happen. Mint had a more internal mechanism for showing that value — an algorithm that took a user’s financial information and sorted and categorized it upon first use of the product. Much of Mint’s early success can be tied to a very simple product innovation. The first time you logged into Mint, you could pull all of your financial transactions from your bank, including your credit and debit cards — and you wouldn’t need to spend an hour meticulously tagging each one to see your spending habits. They would be automatically categorized. Mint eliminated those 100+ days of work and thereby offered a far better first-run experience than Quicken or Microsoft Money could. Mint is a great example of making an impression on your new users by automating a series of steps they would normally go through manually. Level Money, on the other hand, shows that you can produce the same kind of impression in a more direct way — by asking a few simple questions. Level Money, a budgeting app for millennials and Business Insider’s “best app for managing your money,” was one of the most popular financial management apps before it was acquired by Capital One in 2015. At the time of acquisition, it had 700,000 users and had processed about $12 billion in transactions since its launch in 2013. The key to Level Money’s user experience is that it gets people to offer actionable information about their personal finances their first time using the product. Often, loading up a new personal finance app means dealing with tons of permissions and passwords, followed by being dumped into an unfamiliar dashboard that it takes days or weeks to feel fully comfortable using. It can take a while to begin really getting value out of it. Level Money’s first-run experience is designed to show you that value right away. After you connect your bank account, Level Money app goes through deposits to your bank account and figures out which represent your recurring income. The app then goes through different withdrawals from your bank account and figures out which represent your bills and other recurring expenses. Finally, the app asks you how much you want to save each month. When that’s finished, you’re sent to the main dashboard of the app. 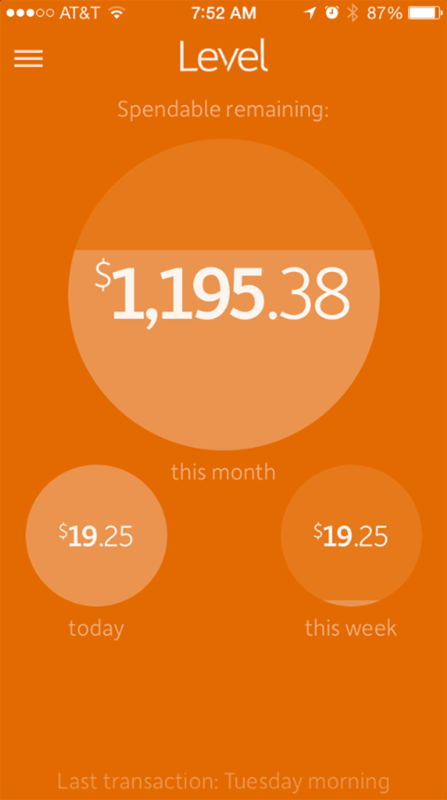 The main dashboard of Level Money then uses income vs. expenses to show you three bubbles representing the amount of money you can still spend today, this week, and this month if you want to accomplish the goal you set out in #3. That kind of specific utility, matched to a precise idea of the product’s intended audience, is critical to success. After users download an app and get through their first-run experience with it, the effectiveness of its design and how well it works for them personally is what comes into consideration.